38 mountains are gathered here all of which are over 4,000 m. This includes the Matterhorn. A true paradise for alpinists. 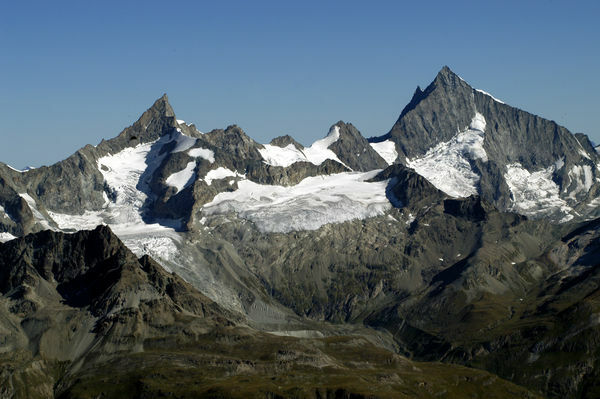 The names are familiar: Monte Rosa, Weisshorn, Dom, Täschhorn, Liskamm. But why 38 four thousand-metre peaks? Very simply: Alpinists can reach 38 four thousand-metre peaks from Zermatt. The list includes the famous mountains. With tips for excursions, hikers and alpinists. 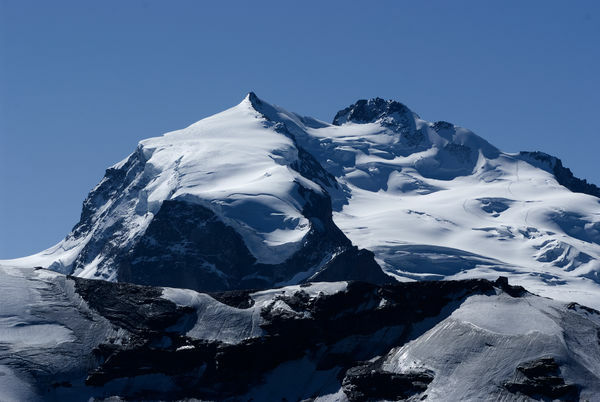 The Allalinhorn is one of the easiest 4,000-metre peaks in the Alps to climb, and also one of the most popular. 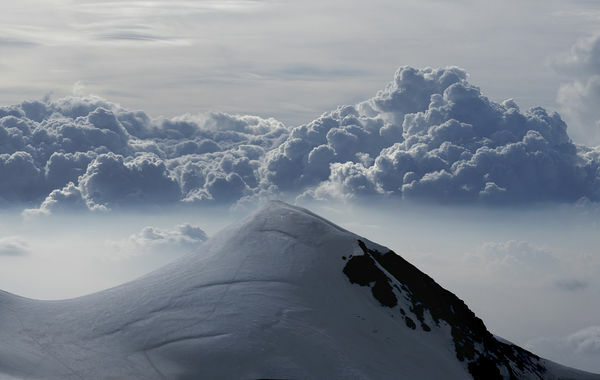 From the summit, climbers see almost the entire sweep of the Western Alps. 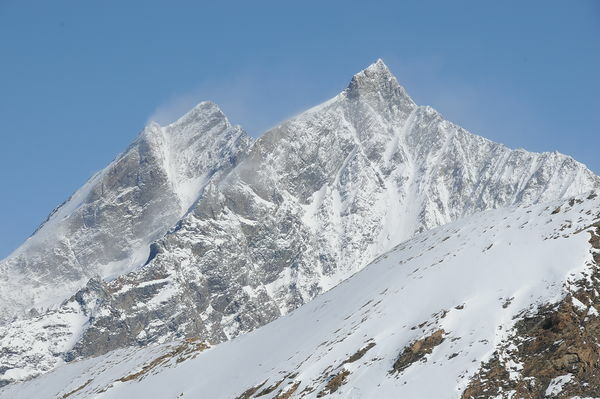 The Alphubel is one of the easier 4,000-metre peaks to climb. However, it requires good levels of fitness and stamina. 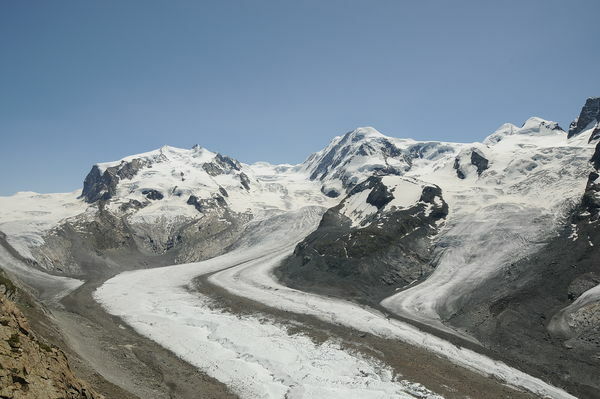 The Balmenhorn is located on the Italian side of the Monte Rosa massif. A statue of peace made of scrap from the Second World War stands on the summit. 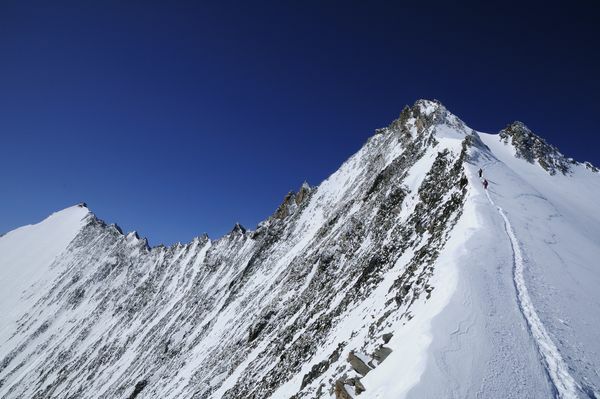 The Bishorn is one of the Alps’ easier 4,000-metre summits to climb, when tackled from the Cabane de Tracuit via the west flank. 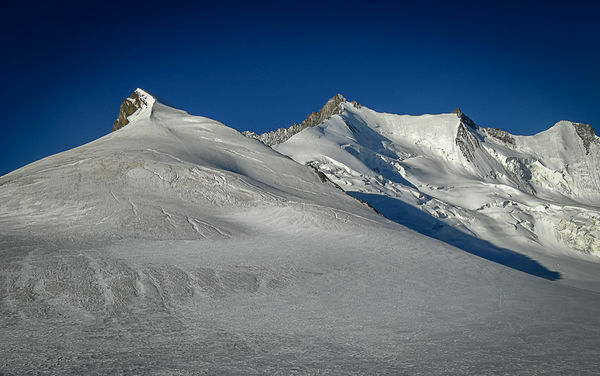 The Breithorn, near Zermatt, is a heavily glaciated mountain crest with several peaks. 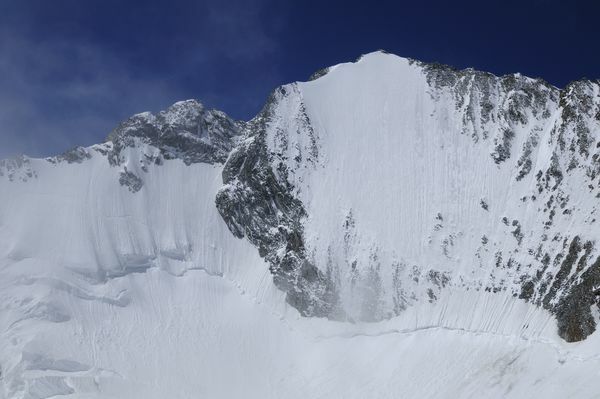 Many budding mountaineers choose this for their first 4,000-metre summit. 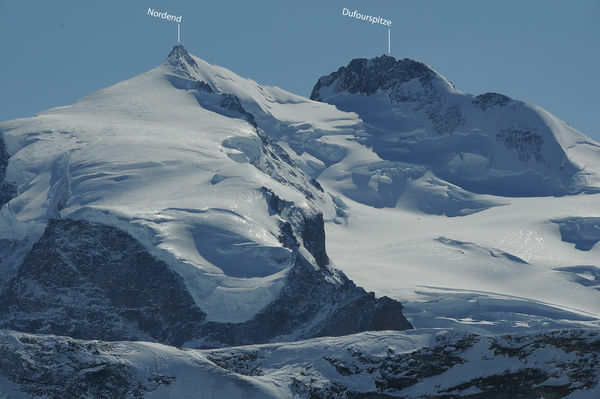 Castor and Pollux, the twin 4,000-metre summits, lie in the chain of peaks linking the Breithorn and the Monte Rosa massif. Castor’s summit is on Italian territory. 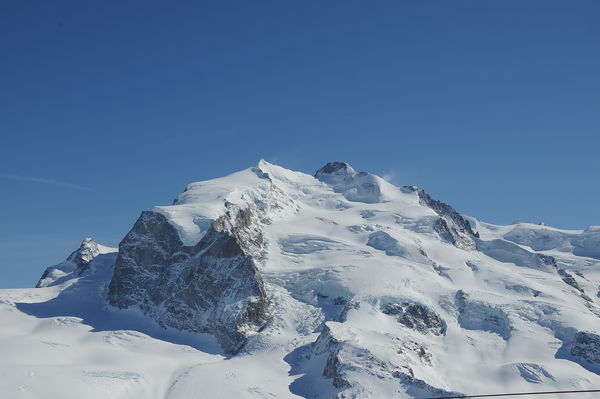 The Dent Blanche has an almost regular pyramid shape with four ridges. A metal cross marked with the year 1966 stands on the summit. The Dent d’Hérens is not directly visible from Zermatt. 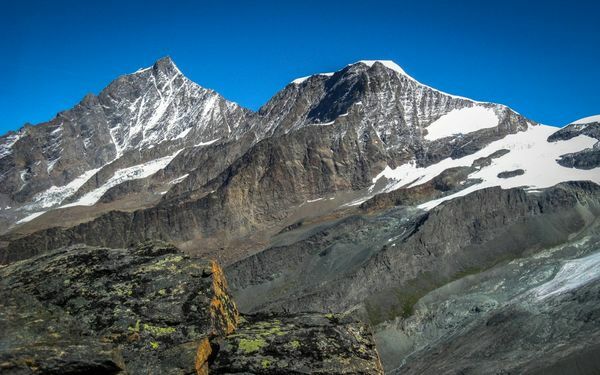 One way to see this peak is to walk the beautiful trail from Zermatt to the Schönbiel hut. The Dirruhorn (Dürrenhorn) is the last summit of the Nadelgrat ridge. It is located in the same massif as the Mischabel group of mountains, which is home to Switzerland’s highest peaks (Dom, Täschhorn). The Dom is the highest mountain located entirely on Swiss territory. The majestic peak is part of the Mischabel group. The Dufourspitze is the highest peak in the Swiss Alps. 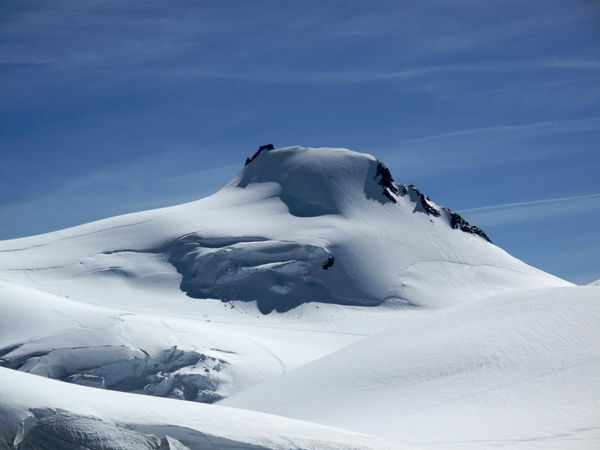 The summit lies in the Monte Rosa massif, which has about ten 4,000-metre summits, depending on how they are counted. The highest is the Dufourspitze. The Dunantspitze (4,632 m) lies beside the Dufourspitze. 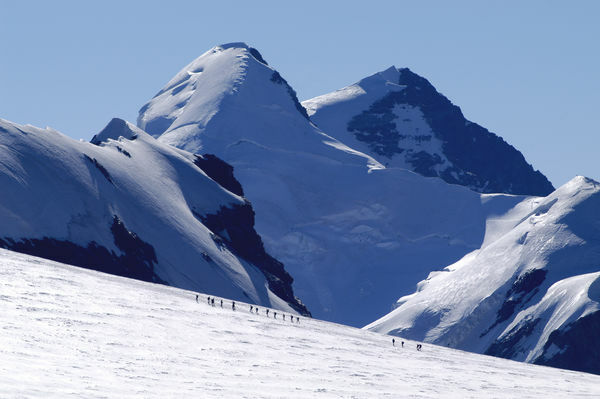 The peak forms part of the Monte Rosa massif, which has about ten summits of more than 4,000 m, depending on counting method. 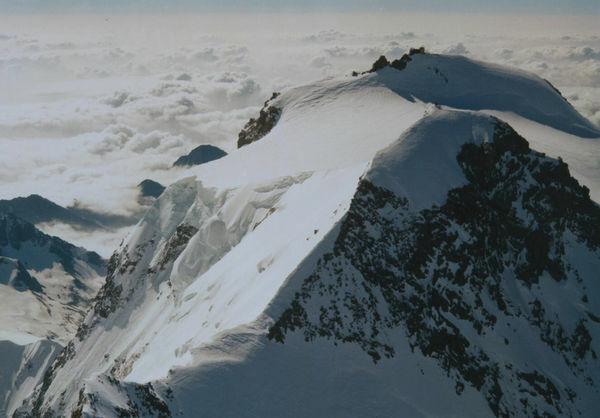 The Dunantspitze (right, black rocky crest beside the summit of the Dufourspitze) in the Monte Rosa massif is Switzerland’s second-highest peak. The Felikjoch, beside the Felikhorn, is the highest crossing in the Alps. 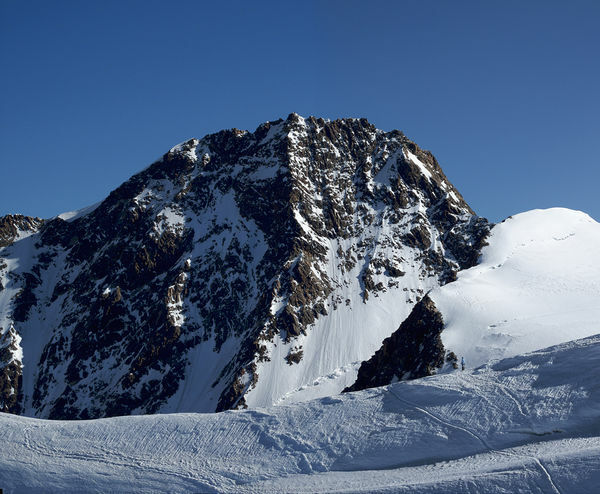 The Felikhorn itself is an inconspicuous peak located just across the border in Italy. 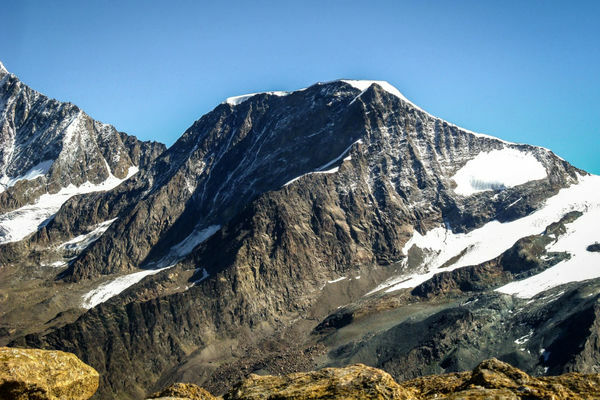 Grenzgipfel means “Border summit”: this peak marks the highest point on the border between Switzerland and Italy. 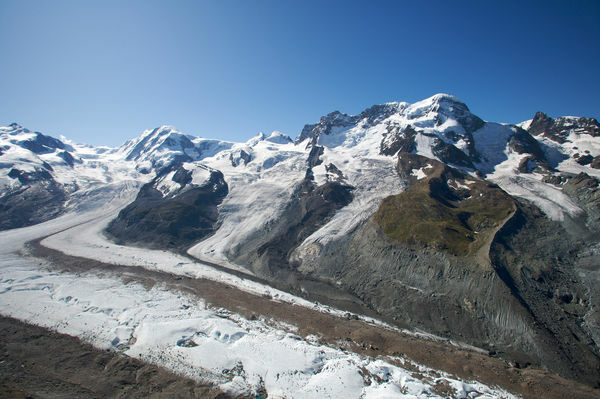 The mountain is part of the Monte Rosa massif. 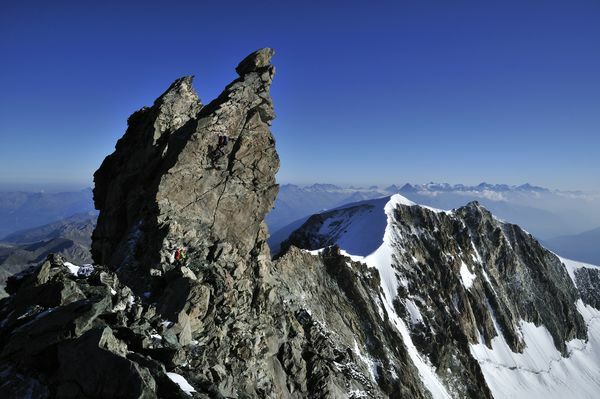 This peak belongs to the famous Nadelgrat pinnacle chain, north-west of Switzerland’s highest mountains. The Lenzspitze is a perfect pyramid with sharp edges and steep faces. 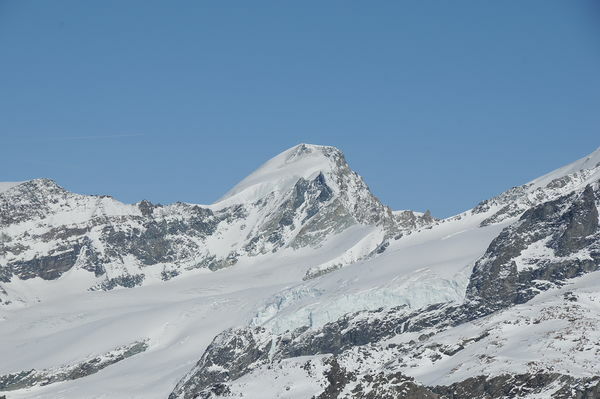 The Liskamm is almost 50 m higher than the Matterhorn and has a very long ridge. The mountain is nicknamed the “Man-eater” because in former days many climbers fell to their deaths from the snow cornices along the ridge. Locals attributed the numerous accidents to the forces of darkness. The Ludwigshöhe stands on the border between Switzerland and Italy. 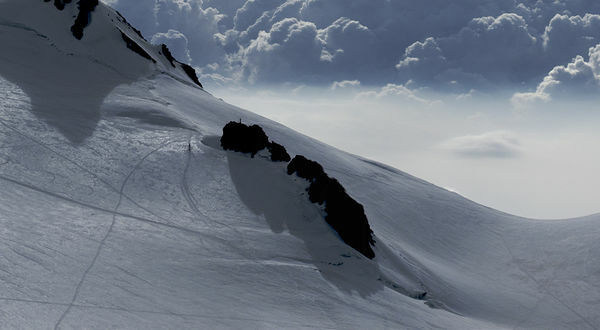 It is one of numerous peaks in the Monte Rosa massif, and the most southerly 4,000-metre summit in Switzerland. 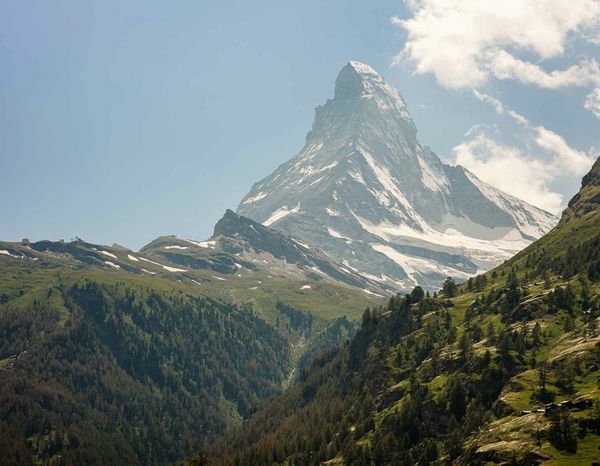 The Matterhorn, the king of mountains, is the most-photographed mountain in the world. It is myth and emblem for Alpinists and photographers alike, as well as Switzerland’s most famous landmark and symbol. 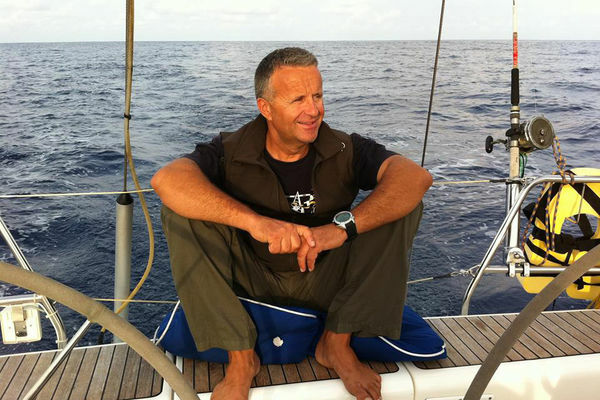 Providers of mountain hiking, skiing, climbing and biking tours as well as Mediterranean sailing and climbing breaks. The Nadelhorn has an unusual feature: a hole through the rock, just a few metres below the summit. However, it is visible only to mountaineers climbing the neighbouring Dom. 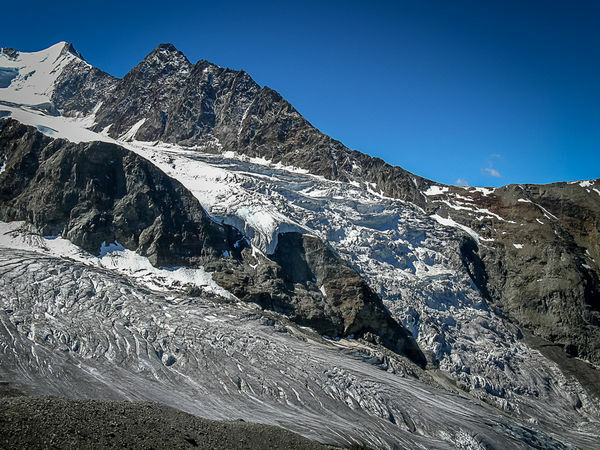 The Nordend is a neighbouring peak of the Dufourspitze and lies at the northern end of the Monte Rosa massif. 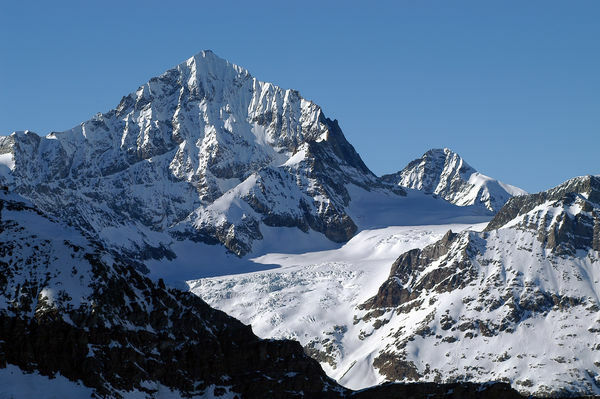 The Parrotspitze is one of the more prominent summits of the Monte Rosa massif. The mountain shares its name with a peak in Turkey. 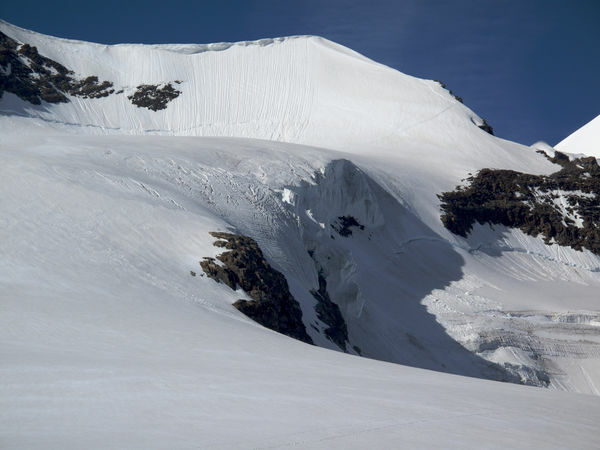 The ascent of Pollux involves a glacier traverse using crampons as well as a rock climb. Zermatt’s mobile pump track is the perfect opportunity for children and even experienced bikers to pursue the sport of mountain biking in the village. 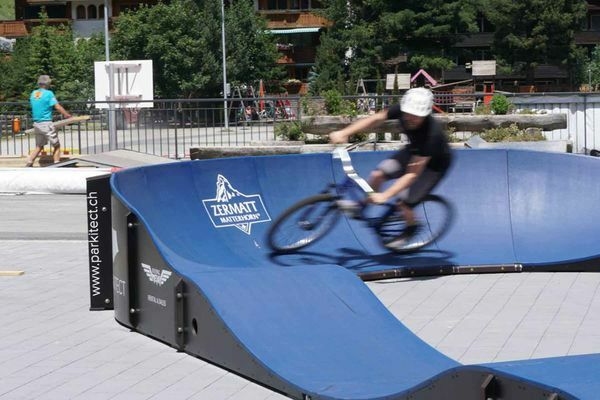 A mobile pump track will be available on Obere Matte in Zermatt from the end of June and throughout the summer season. The Rimpfischhorn is easily recognisable thanks to its distinctive shape. The pinnacles were formed from pillow lava that oozed from the floor of the prehistoric Tethys sea millions of years ago. The rock subsequently eroded to leave these striking pinnacles. 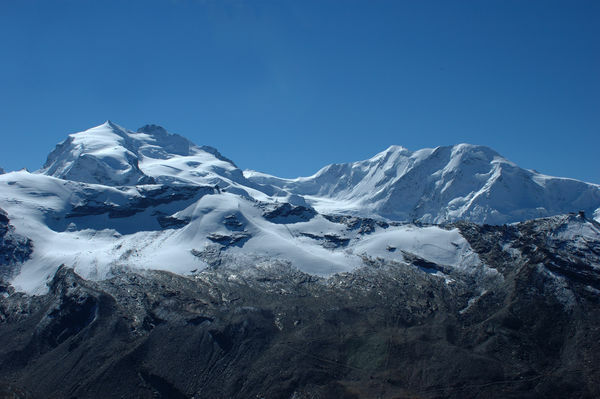 The Schwarzhorn forms part of the Monte Rosa massif. The black rocky outcrop presents a dramatic contrast to the white expanses around, yet rises only about 50 m above the ice. 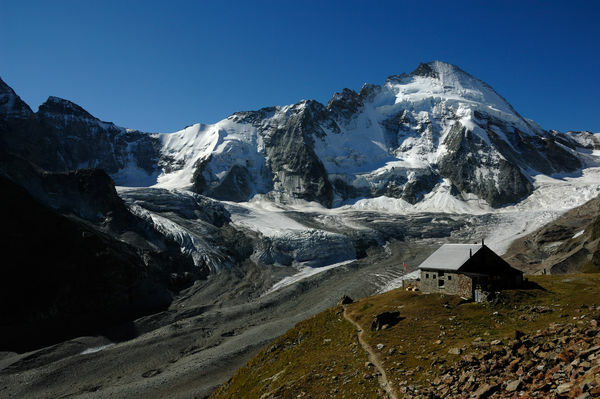 The Signalkuppe is the mountain in the Monte Rosa massif that is home to the most famous and highest mountain refuge in Europe, the Capanna Regina Margherita. 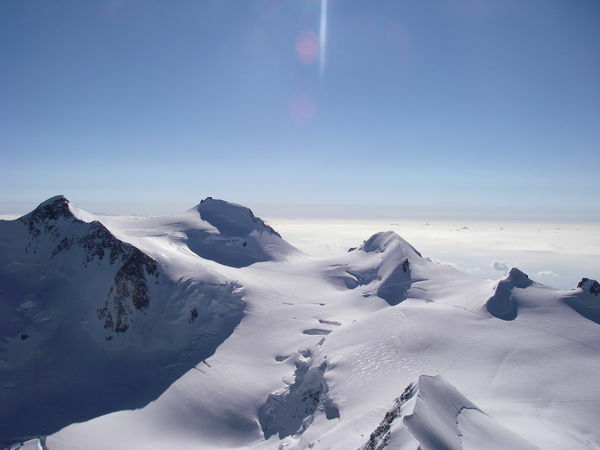 The Stecknadelhorn is a small elevation on the Nadelgrat ridge, but because of its altitude of 4,241 m it is considered a 4,000-metre peak in its own right. An ascent can be incorporated in a crossing of the Nadelgrat ridge, depending on climbers’ physical condition. 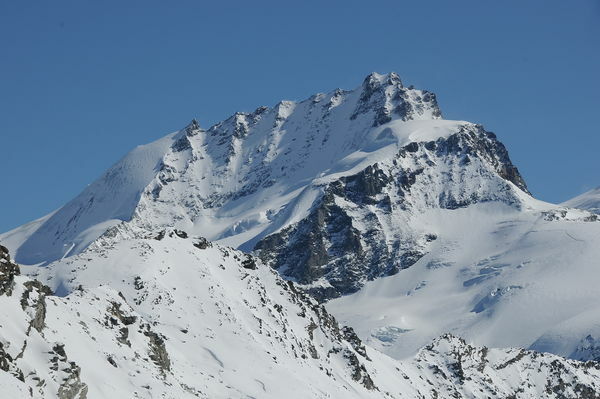 The Strahlhorn is the most southerly 4,000-metre peak around Saas-Fee. It is rarely climbed. 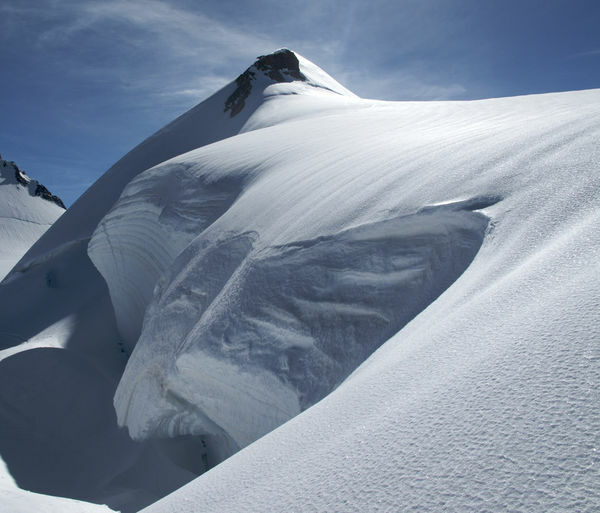 The glacier ascent to the summit reveals magnificent panoramic views. The Täschhorn is the uncrowned queen of the Mischabel group. Even if the Dom is 55 m higher, the Täschhorn catches the eye with its appealing triangular form. The demanding south-east ridge and Teufelsgrat ridge are legendary. 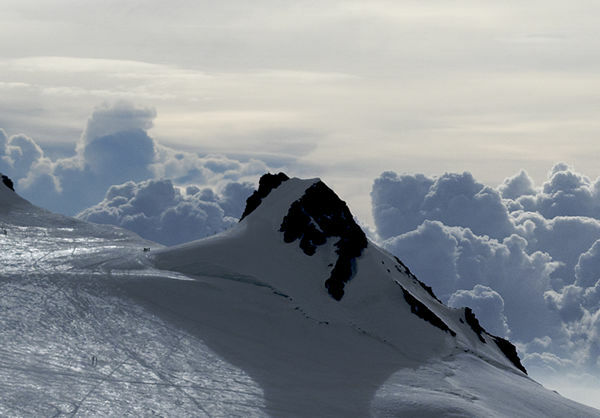 The Vincent Pyramid is the last mountain of the Monte Rosa massif, so to speak. The first ascent had a surprising motive: the search for gold. 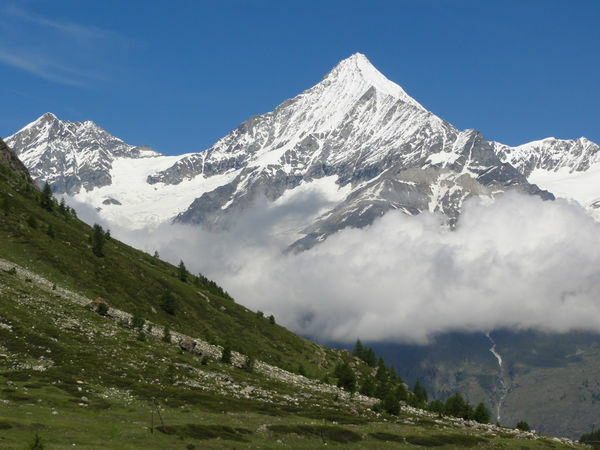 The Weisshorn is the secret star among the 4,000-metre peaks around Zermatt. It boasts a pleasing, symmetrical triangular shape; for mountaineers, it offers a thrilling challenge. Looking for things to do in Zermatt? Look no further, because you’ve found your outdoor sporting experts. You might have landed here because you were looking for the best time to ski Zermatt, and we can help you with that, plus activities for all 365 days of the year. We have some of the most experienced guides and ski instructors available to make the most of your holiday in Zermatt. Our expert guides will help you discover Zermatt’s secret spots, on whatever kind of sporting equipment you might fancy! We’ll make sure your next Zermatt holiday is an unforgettable one. 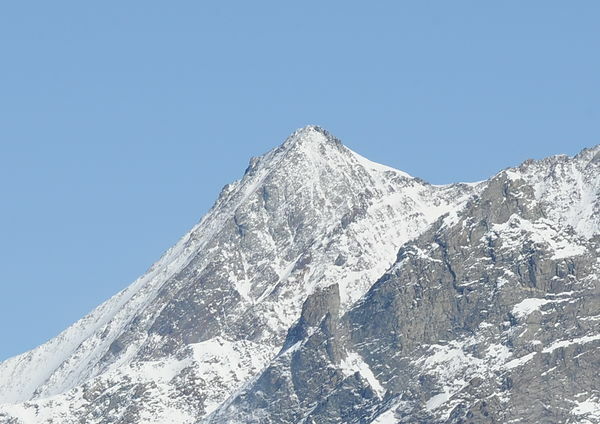 The summit of the Zinalrothorn appears to lean to one side and so is unmistakable. 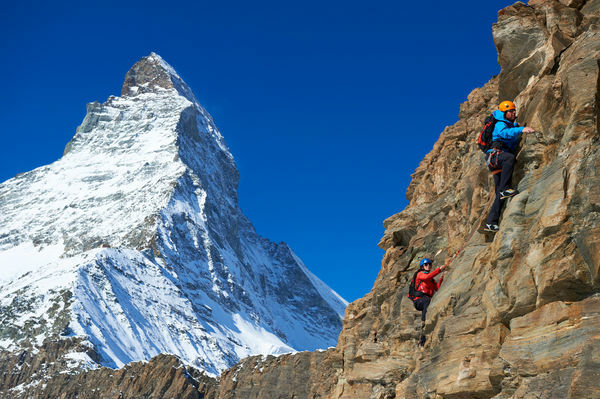 The ascent via the Rothorngrat ridge is regarded as one of the finest rock climbs in the Zermatt region. 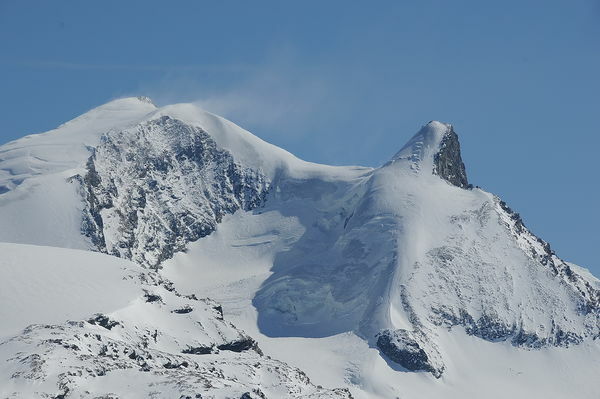 The Zumsteinspitze was the first summit of the Monte Rosa massif to be climbed. Its name comes from the topographer Joseph Zumstein, who explored the peak with other scientists.